Recent earthquakes in Mexico (2017), Italy (2016), Myanmar (2016), and Nepal (2015) have made it clear that the past isn’t safe. Earthquakes, floods, landslides and fires threaten treasured heritage. After the M7.1 earthquake in Mexico, 1,847 heritage building were damaged, including 351 historic monuments, 14 museums, and 8 archaeological areas – nearly 20% of the overall economic losses. Cultural heritage is not just about monuments or traditions, but about the people who identify with the underlying culture. Understanding this, we can help reduce irreplaceable losses and manage the economic repercussions. Identification and communication of risks to tangible and intangible assets allows site managers to work to protect sites, communities to plan and prepare for likely scenarios, and policymakers to prioritize investments to manage the risks, as well as spurring action by many stakeholders. This interactive session will bring together experts, policymakers, and other stakeholder practitioners to practice and test risk identification strategies through the Disaster Imagination Game (DIG) approach. This is an interactive activity to engage participants in understanding and communicating the disaster risk management to cultural heritage to spur actionable preparation and prevention action. The session will draw on a body of work from UNESCO, the World Bank, the Institute of Disaster Mitigation for Urban Cultural Heritage at Ritsumeikan University in Kyoto, and Japan, and engage development teams and developing country officials in this critical aspect of resilience. Includes effects on local economies, tourism and livelihoods, as well as the specialized efforts required to rehabilitate historic structures. 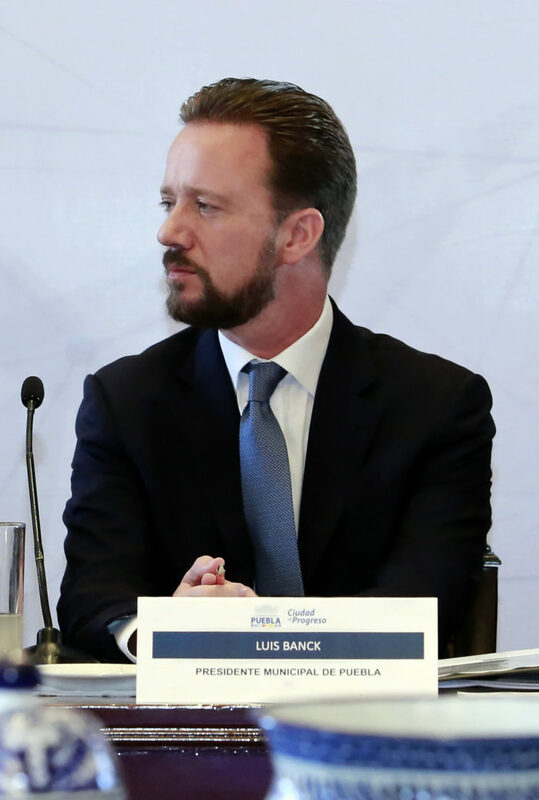 Luis Banck Serrato graduated from Iberoamerican University and Georgetown University, where he obtained a Bachelor’s and later a Master’s Degree, respectively, specializing in Public Administration, Public Policy and International Economy. His Master’s thesis on the negative impact of the commercial opening in Mexico, like in income distribution, was published by the Georgetown Public Policy Review. He has worked in related areas, such as social development, the Mexican Federal Government, the Senate of the Republic and the World Bank. He has also been an Assistant Professor of Macroeconomics at Georgetown University, Professor of Statistics for Economists at Panamerican University, and Professor of Current Affairs in Public Administration at Iberoamerican University, Golfo Centre. Banck Serrato worked for the World Bank in the Department Social Development for Latin America, where he focused on the cities of San José, Costa Rica, Rio de Janeiro, Brazil, Lima, Peru and Mexico City. In the State of Puebla, he has held the position of Undersecretary for Social Development, Director General of the DIF System, Secretary of Social Development for the City Council de Puebla, Secretary of Social Development and Secretary of Infrastructure and Transportation of the State of Puebla. During his tenure in public administration, the areas under his charge won the Max Shein National Education Award for promoting quality in public school teaching, the Americas International Award from the United Nations for the development of literacy programmes in low-income communities and the National Habitat Award Fight Against Urban Poverty. 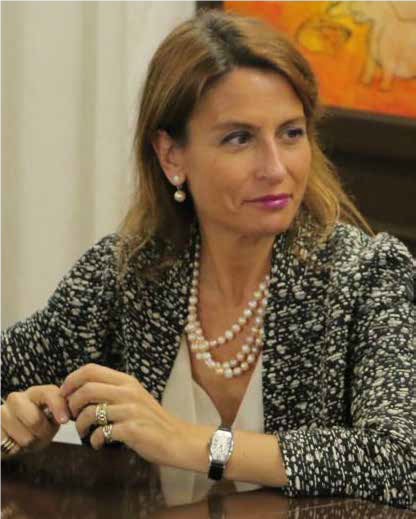 Nuria Sanz has worked in various positions within multilateral organizations, such as the European Commission, the Council of Europe and especially the United Nations Educational, Scientific and Cultural Organization (UNESCO). In 2002, she was appointed Chief of the Latin America and the Caribbean Unit of the UNESCO World Heritage Centre in Paris, where she coordinated the nomination of the Andean Highway System for inscription on the World Heritage List, a project that was subsequently elected by the Summit of Heads of States of Latin America and the Caribbean as an example of excellence for cultural integration of indigenous peoples. Having edited more than twenty publications on World Heritage, since 2013 Nuria has served as Head and Representative of the UNESCO Office in Mexico, where she has promoted the work of UNESCO in Mexico at the Federal, State and Municipal level, within the Organization´s mandate in: Education, Science, Culture and Communication and Freedom of Expression. Since its inception in 2006, Nuria Sanz has been responsible for the development and implementation of the World Heritage Thematic Programme ‘Human Evolution: Adaptations, Dispersals and Social Developments’ (HEADS). In his current role, his responsibilities involve coordinating and supporting action by the organization to assist Member States in preparing and responding to crises related to conflicts or natural disasters. Mr. Boccardi graduated from the University of Rome (Italy) with a degree in Architecture and obtained a Master’s Degree in Built Environment from the University College of London (UK). He has worked for UNESCO in different positions since 1994, both in the field (Uzbekistan and Jordan) and at Headquarters, where he acted as Chief of a Regional Unit at the World Heritage Centre (first Arab States, then Asia and the Pacific) between 2001 and 2011, and as Focal Point for Sustainable Development, Disaster Risk Reduction and Capacity Building, until 2014. Akiko is the Chief of Promotion of Conservation in Use and Risk Preparedness Unit at the Japanese Agency for Cultural Affairs (ACA). After her graduation at the University of Tokyo, she taught town planning/ architectural history at the graduate School of Design and Architecture, at Nagoya City University, Japan. She started working for the Architecture Division, ACA, in 2012. 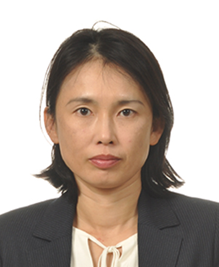 In her career at ACA, she was seconded to the Department of Town Planning, Kyoto City Government, between 2005 and 2007, and ICCROM between 2014 to 2016. Currently, her research topics are on policy and regulation related with disaster mitigation, especially fire prevention of cultural properties. She has conducted researches on fire prevention measures in the USA, New Zealand and England. She was also one of the members of the Preparatory Meeting, Resilient Cultural Heritage, at the UN World Conference on Disaster Risk Reduction in 2015 in Sendai, Japan. Rohit Jigyasu is a conservation architect and risk management professional from India, currently working as UNESCO Chair professor at the Institute for Disaster Mitigation of Urban Cultural Heritage at Ritsumeikan University, Kyoto, Japan; as Senior Advisor at the Indian Institute for Human Settlements (IIHS); and the as Trustee of the Indian Historic Cities Network Foundation (IHCN-F). He has been the elected President of ICOMOS-India since 2014 and ICOMOS International Scientific Committee on Risk Preparedness (ICORP) since 2010. Rohit has served as the Elected Member of the Executive Committee of ICOMOS since 2011. After undertaking his post-graduate degree in Architectural Conservation from the School of Planning and Architecture in New Delhi, Rohit obtained his doctoral degree from the Norwegian University of Science and Technology, Trondheim, Norway. He is on the editorial board of some well-respected journals, such as Journal of Cultural Heritage Management and Sustainable Development and Disaster Prevention and Management. He has contributed to several international publications. Takeyuki is a professor at the Graduate School and College of Science and Engineering, Ritsumeikan University, and the director at the Institute of Disaster Mitigation for Urban Cultural Heritage (http://www.rits-dmuch.jp/en/index.html). He is also a member of ICORP and JP-ICOMOS, an officer of the NPO for Protection of Cultural Heritage from Disaster, and the chairman of its Technical Committee. His background in civil engineering, architecture, and global environmental engineering informs his current research interests in urban design for disaster mitigation and architectural design to promote the utilization of traditional knowledge and wooden materials. His recent work in partnership with colleagues Professor Rohit Jigyasu and Professor Kenzo Toki is the UNESCO Chair International Training Course on disaster risk management for cultural heritage and historic cities, which has been held every year since 2006. Disaster Risk Management of Cultural Heritage in Urban Areas. A Training Guide.